OK – I’m a little reluctant to make the following confession as it might actually sound like someone’s Grandmother. 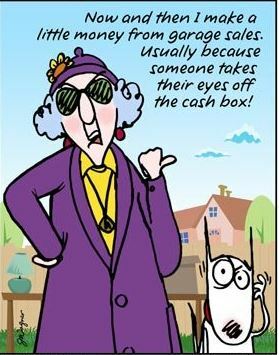 I am someone’s Grandmother and love it, but I’m not sure I want to be instantly recognized as one. Anywho…. I confess to having loved discovering the following finds at an antique/flea market recently (and there were several younger folk there too). I only brought the one thing home but was tickled and tempted by the others. 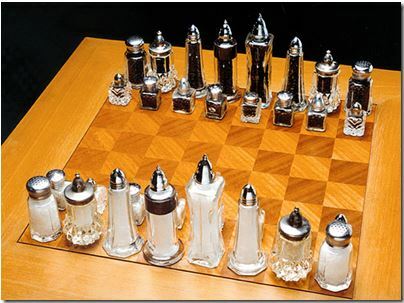 Salt and Pepper Shaker Chess Set – I had never seen this before and I absolutely loved it. I have several salt and pepper sets that I have collected and use when I host showers or holiday dinners (I like to have a set for each table). Who would have thought they’d make a chess set? I have a LONG way to go before I would have enough, but I thought it was very clever and great re-purposing! TV chair/table: This was a big thing at this market. I had seen them once in a great while and almost always in really bad shape. At this market almost every other booth had one. 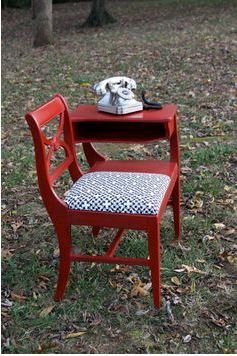 Of course now that the landline phone is passe, I totally want one of these chairs. I need to create a space in my house for it first (that phrase scares my husband a bit). I think it would be a great spot to update a grocery list, jot down ideas for a blog post, write a thank you note. Putting in that thing about a blog post makes this a very hip, up-to-date piece of furniture. 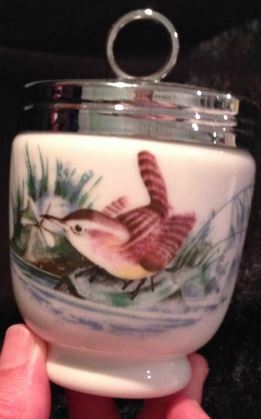 Egg Coddler – who knew such cute things existed? They are from the English and used to make sort of a poached egg. You break the egg into the little cup and then place the porcelain coddler into boiling water and viola (oops that’s French) you have a coddled egg (very soft and runny). You can scramble it a bit and add cheese or onions, even some cooked breakfast meat if you wanted and cook it a bit longer and you have a lovely egg scramble. I couldn’t wait to try it. Funny thing is, the egg tasted like the potpourri in which the coddler must have been stored – not good. It looks nice sitting on my kitchen shelf though. Not the best re-purposing but it does make me smile. I confess also to loving milk glass and was admiring several pieces when I heard a man beseech his wife as they walked by the table, ‘Please dear – don’t buy another piece of milk glass’. My husband smiled but said not a word. He already knows the value of each cherished piece I have at home!